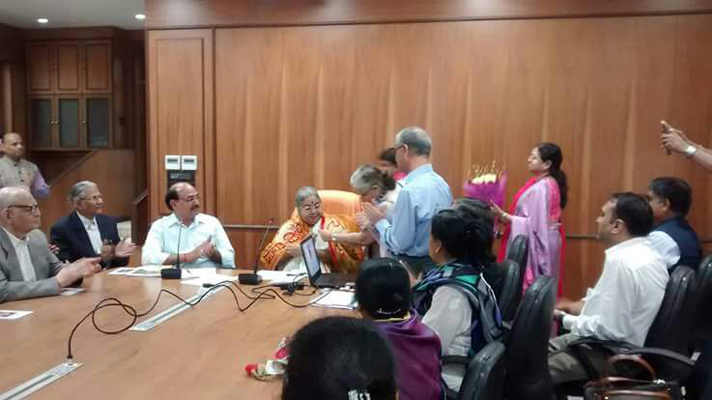 Ramesh Shah, the founder of EkalVidyalaya Foundation of USA was awarded the PravasiBharatiyaSamman at the 15th edition of the Pravasi Bharatiya Divas (PBD) convention, held between7th and 9thJanuary 2017 in Bengaluru, by Hon’ble President Pranab Mukherjee for “serving the Indian community in the US and the Indian community in tribal India on a larger scale.” During Prime Minister Modi’s visit to the US in 2014, Mr.Ramesh Shah and Dr.Mehta and other prominent persons were at the forefront of organizing the events. 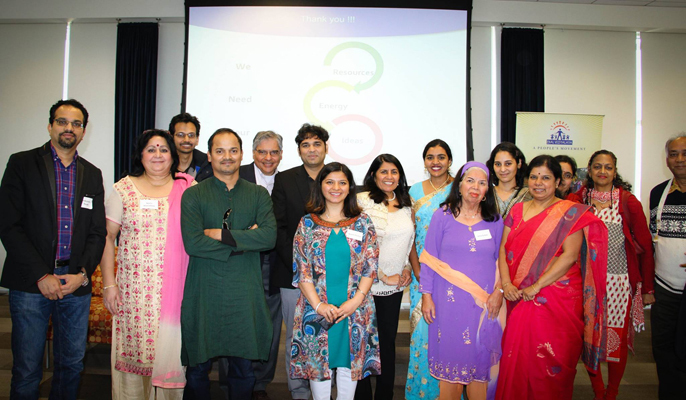 Ekal Vidyalaya Foundation of USA, San Diego organized a successful forum with distinguished guests on "Power of Education" at UCSD 15 village west. 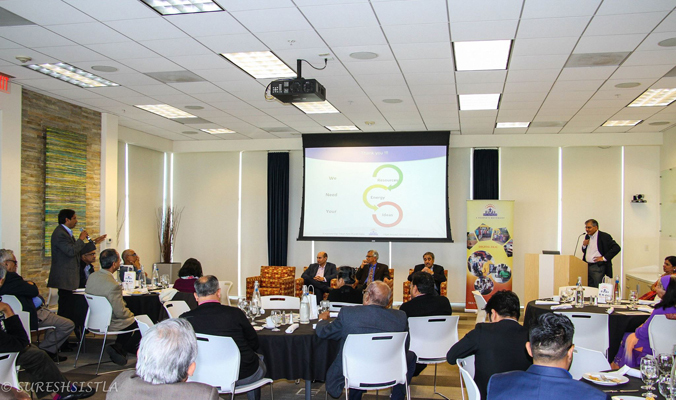 The panel consisted of Dr.Pradeep Khosla (Vice chancellor UCSD), Dr.Sundar Mudaliar (Doctor at UCSD, specialization in diabetic management) and Dr. Durga Malladi (Senior VP Qualcomm). As part of its social outreach program, Team1325 has decided to collaborate with Ekal, introducing the concept of "Kids helping Kids". 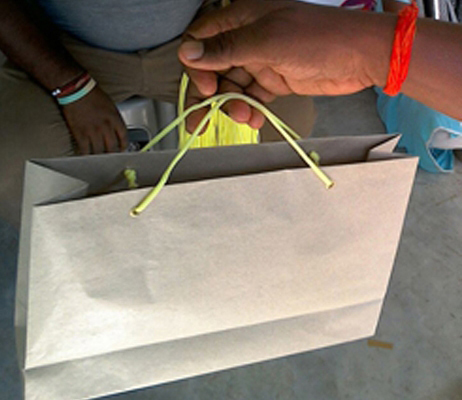 Supporting the values of Ekal, Team 1325 wants to create awareness about and raise funds for childrens' education. FIRST Robotics Competition (FRC) Team 1325-Inverse Paradox is a high school students robotics team which actively participates in FIRST Robotics competitions at local and International level. FIRST stands for 'For Recognition and Inspiration of Science and Technology'. Each year, the students and mentors work during a six-week period to build game-playing robots that weigh up to 120 pounds (54 kg). These robots can score balls into goals, hang on bars, and on balance beams. The games change yearly to promote innovation. FIRST has a unique culture built around two values-Gracious Professionalism and Cooperation. The goal of the program is not only to inspire students to involve in science and technology but also become leaders of tomorrow. 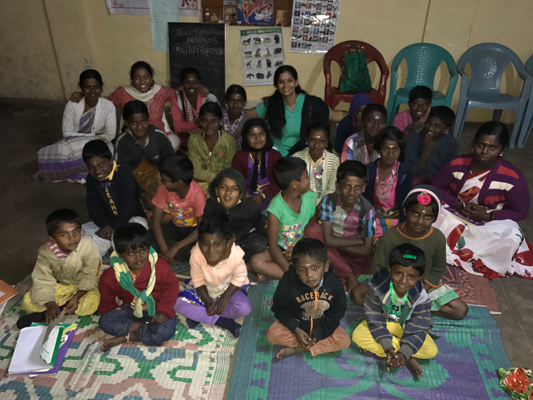 Tanreet Dhaliwal, a grade 11 student and an active member of this team visited two Ekal schools in India last year during her family's visit to India. She gave very impressive robotics demonstrations at Ekal schools. . 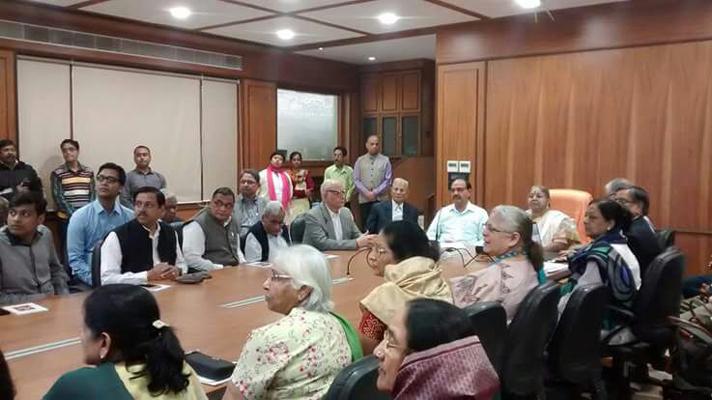 In the picture from left to right are - Mrs. Kavita Kamath , Rajen Mistry , Subhash Chander (Secy. 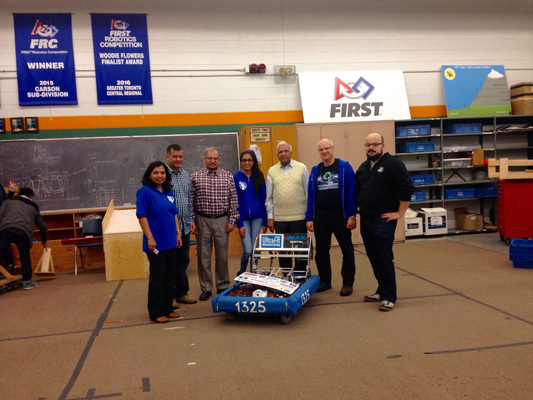 Ekal Canada), Tanreet Dhaliwal (Robotics student), Parshotam Gupta (President Ekal Canada), Ronald Sing and Stephan Sing. 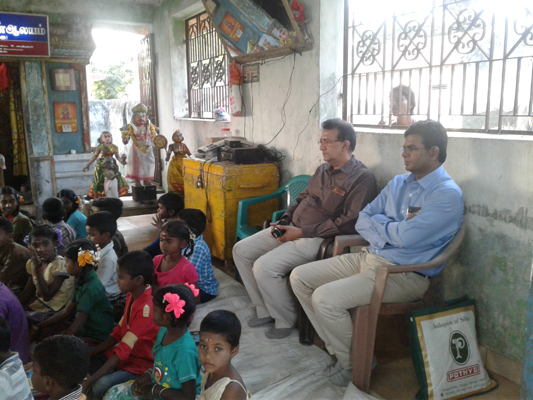 This programme was successfully sponsored by HFRI (USA) by Dr Veena S Gandhi. 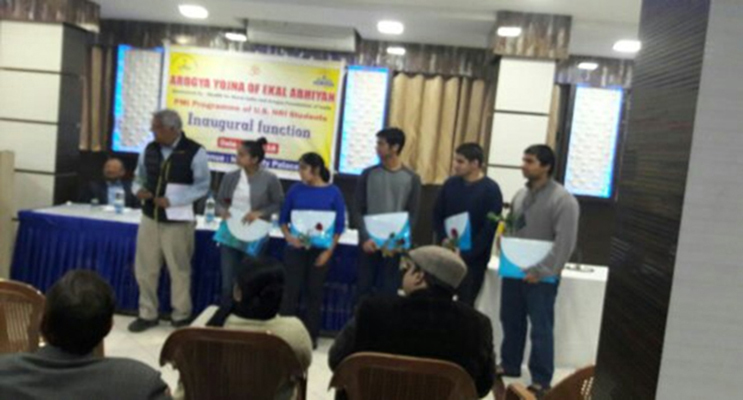 While pursuing further studies this programme gives advantage to participating students. 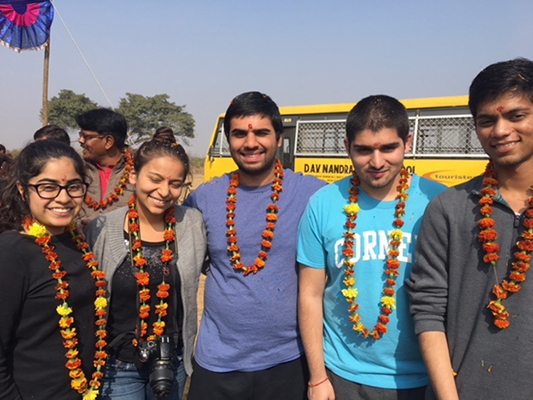 From 27-12-2016 onwards, for a period of ten days, five US NRI students, along with Dr Veena S Gandhi and Dr. Hashmuk Shah stayed at Ranchi. Dr. G.Das emphasized the role of AROGYA YOJANA in health delivery system and thanked Dr Gandhi in bringing US NRI students to the programme so that in future they may offer services to India. 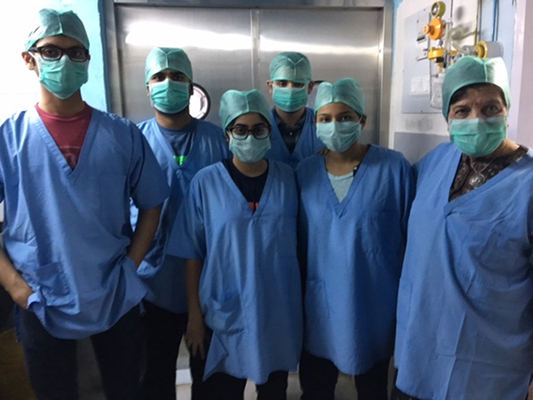 The visits to Amrita Family Hospital, Health Point Hospital, at Ranchi; RIMS pediatric and medicine departments were very useful to students. 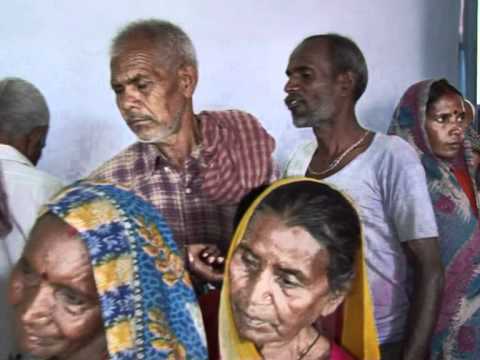 Village visits, visits to rural hospitals, Grammothan Research Centres gave an overview of Indian medical delivery system from remote villages to city levels. In the valedictory session, Mr Pankaj Poddar expressed the need for exchange programmes between India and US which would enhance the horizon of medical delivery systems of both US and India. Cleanliness is the emblem of ‘Purity of Mind’. 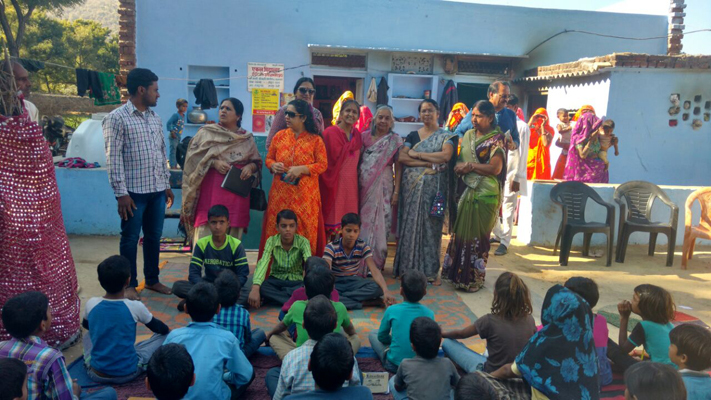 Ekal & CII-India@75's MeraGaon, SwachhGaon campaign has been successfully going on in various areas of the country. Villagers from Udhampur and Rajouri district of Jammu & Kashmir participated in this cleanliness drive. The event started with PrabhatPheri followed by SwachhtaSabha, wall painting, cleaning of village roads and taking a pledge to keep their surroundings always clean. 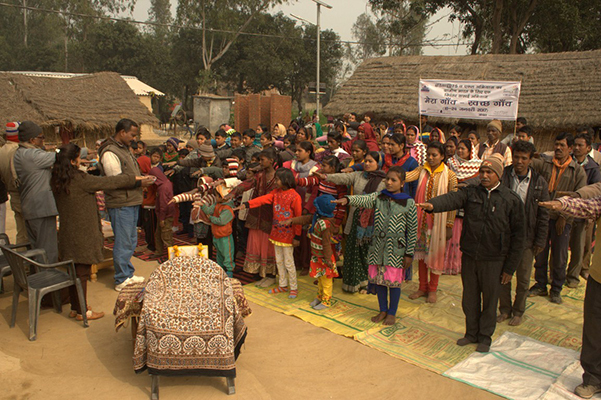 The same activity was also carried out in Bishnupur district, Manipur. 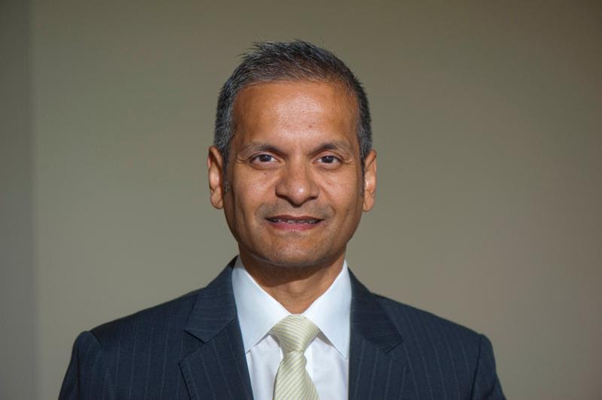 Himanshu Shah, CEO of Shah Capital, is a strong supporter of Ekal village development initiative named as Gramothan. 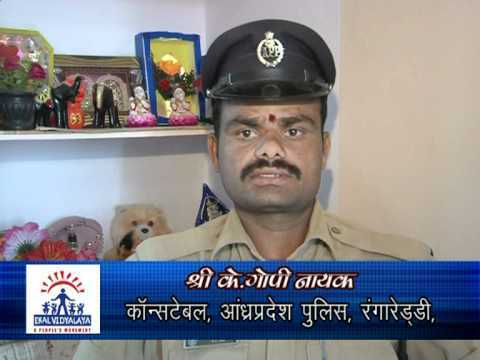 His observations about Ekal initiatives and views are: Skill training in variety of areas including digital literacy, tailoring, farming and other trades are being provided by Resource Centres situated in the centre of a 100 villages. 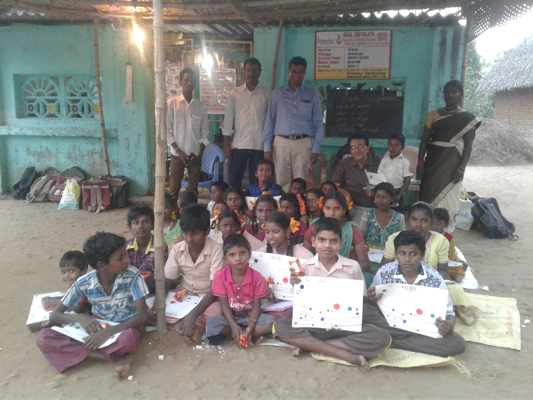 Rural India needs help not merely in children’s education, but also adult education, agricultural know-how, pertinent vocational skills, focusing on anemia, needs of electricity, water and over all cleanliness. In these areas Ekal’s foot print is seen in 54,000 villages which is 10% of the Indian villages. The entire exercise, if earnestly emulated to cover all the villages across India, will stop rural exodus and the effect will be, much lesser strain on cities. 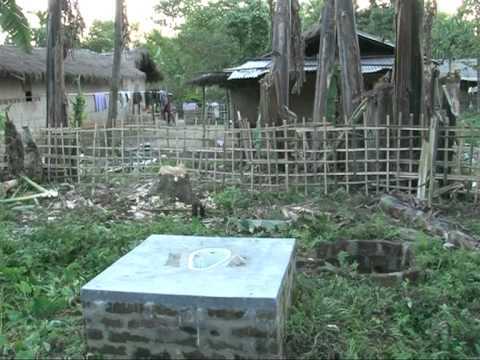 Mr. Himanshu’s first involvement was with a pilot project in 2011 to use ‘vermi composting’ to create organic manure. It was a huge monetary and nutritional success for local farmers (of two states), now has become Gramothan’s strong part. Gramothan has got the potential of uplifting 10 million people each year out of poverty according to Mr Himanshu. Eight Gramothan Resources Centres (GRCs) in different remote places in Jharkand, Odisha, West Bengal, U.P, Tamil Nadu and Maharashtra has been set up as resource centre for about 100 villages surrounding the centre, aiming at making village community economically self-reliant and develop villages as centre of economic activity by motivating and educating villages in the usage of vermi composts, organic pesticides, organic farming, commercial crops, tools for packaging and marketing, water conservation and making of paper bags(to consciously avoid usage of polythene bags which cause pollution). A short film on Ekal Vidyalaya was launched on 9th Jan 2017 by Dr. Prema Pandurangan, who gives spiritual discourses. On 10th Jan 2017 she also launched a new website of Friends of Tribals Society - www.ftsindia.com. 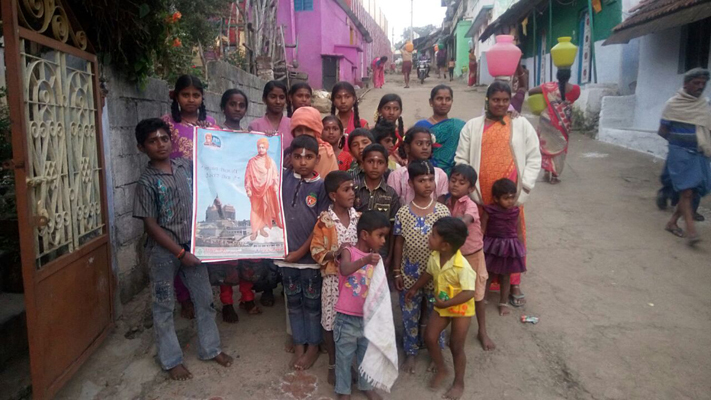 On 12th Jan 2017, Swami Vivekananda’s 154th birthday was celebrated at all Ekal Vidyalaya Villages. 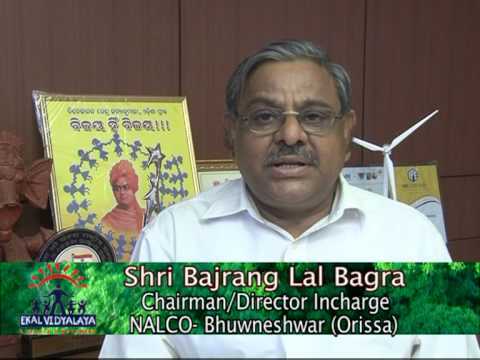 His messages on Nation and Spiritualism were discussed and conveyed to people. 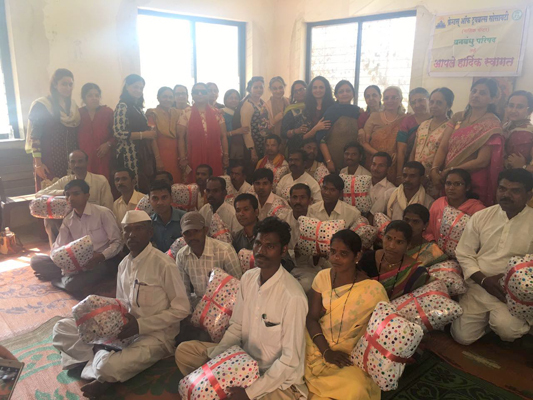 On19thJan 2017, FTS Mumbai Mahila Samiti distributed Makarsankranti gifts of Blankets and Solar lamps to Nasikbhag, Sambhag and Anchal karyakartas. They also did vanyatra in Ghoti Anchal, GRC centre and Wada Anchal. 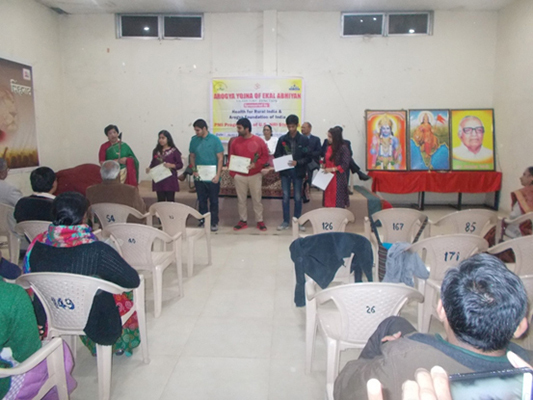 Gift articles were distributed to children and acharyas of the schools. 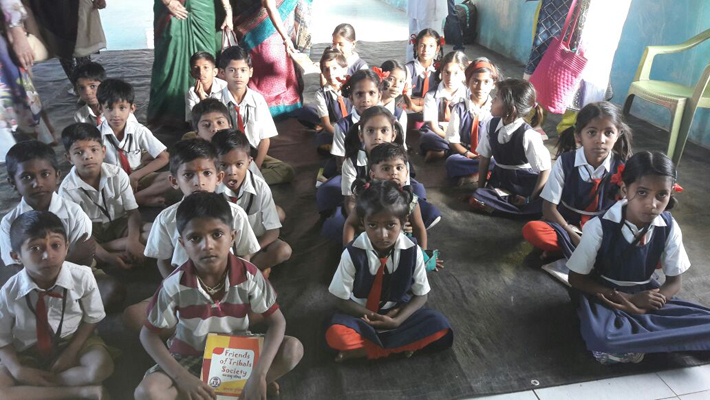 Ritika Iyer visited a couple of schools in Kothagiri district in Tamil Nadu. She had the most rewarding experiences of her life. The Kadasolai village kids were keen on Maths and one kid could even speak to her in English so well. In Queen Sola village, she heard the kids were interested in poetry, storytelling and also oratory. One of the girls spoke extempore about the role of women with an amazing clarity and confidence. 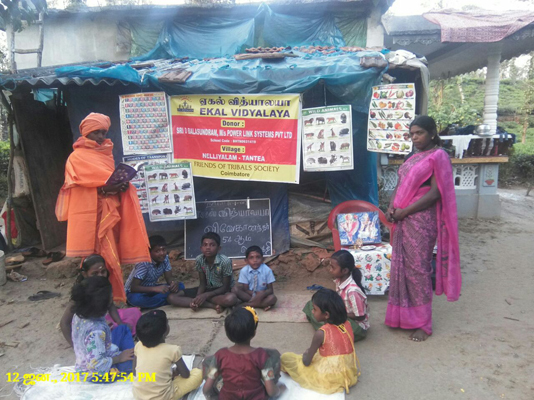 This was a clear sample of Ekal Vidyalaya’s outreach even to the remote villages and hilly places and successful story of their cherished mission. 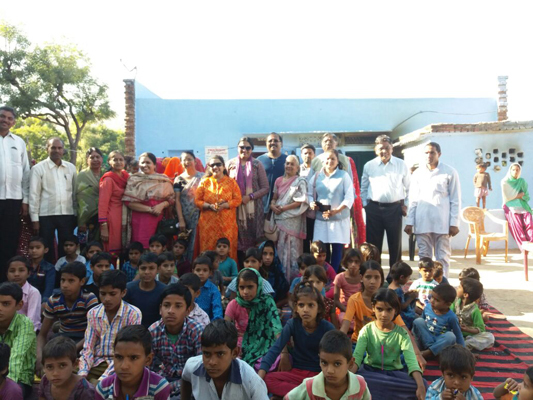 On 27th December MahilaSamithi of Jaipur chapter visited MalipuraDevati and Ramsingpura - 2 Ekal Vidyalayas of Alvar Anchal. 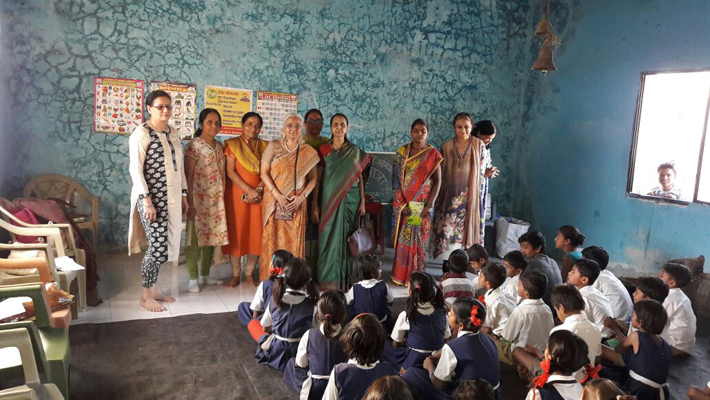 They were delighted to see more girl children studying in 12th standard and colleges in these villages. 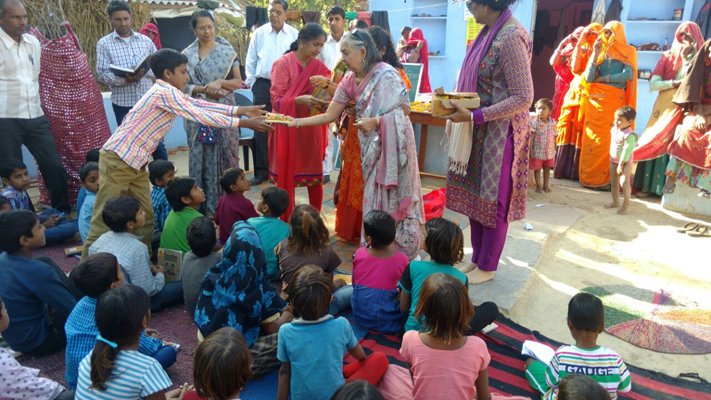 Biscuits, pencils and tiffin boxes were distributed to all children. 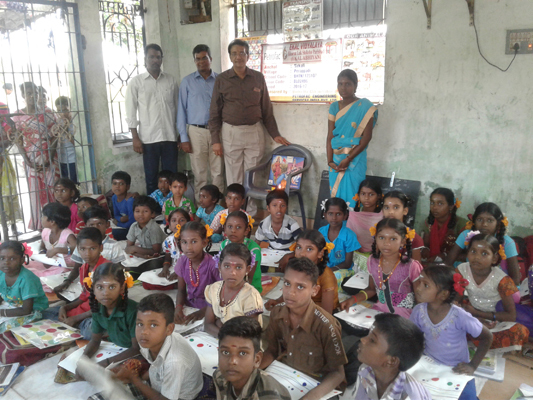 On 10th& 11th Jan 2017, CSR Petrofac (Ekal’s CSR partner)executives, Sri R Sathiyamoorthy, Sri M Ravichandran and Sri Suresh visited Ekal Schools and distributed notebooks, pens and biscuits at Srikali and Salem Anchals of Tamilnadu. 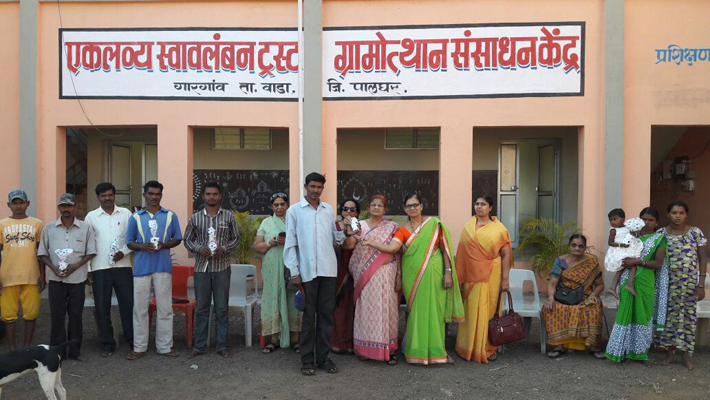 Urmi and Pankaj Desai on 24th December 2016, visited Charanwadi, Palghar District, 30km from Wada, a small village with a Ekal school running in a house. 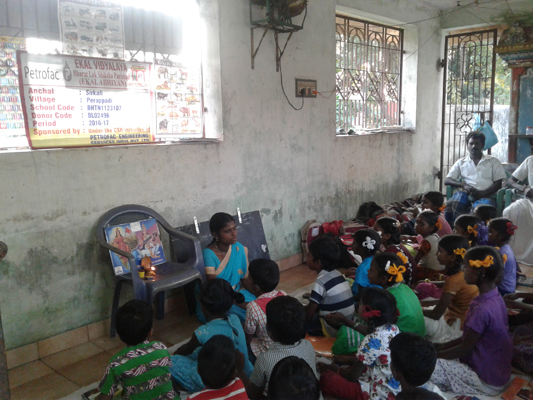 All the religious and patriotic songs were being taught apart fromstorytelling in Marathi (regional language), teaching basic skills in Maths. There were interactive sessions with students and teachers, lot of fun making; cultural events like folk singing and dancing were the highlights. 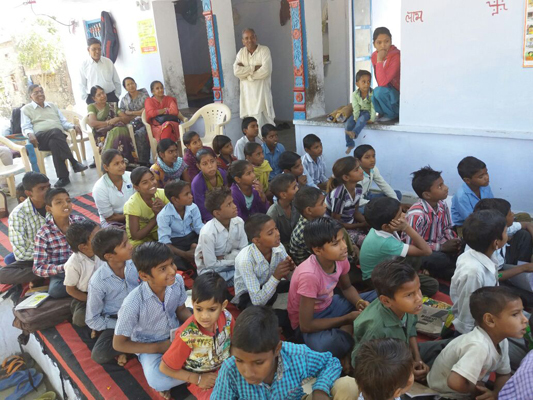 The awareness of children about capital cities was not much, even their own regional districts/headquarters;however, a survey as required by ISO 9001 was conducted by Urmi & Pankaj Desai.